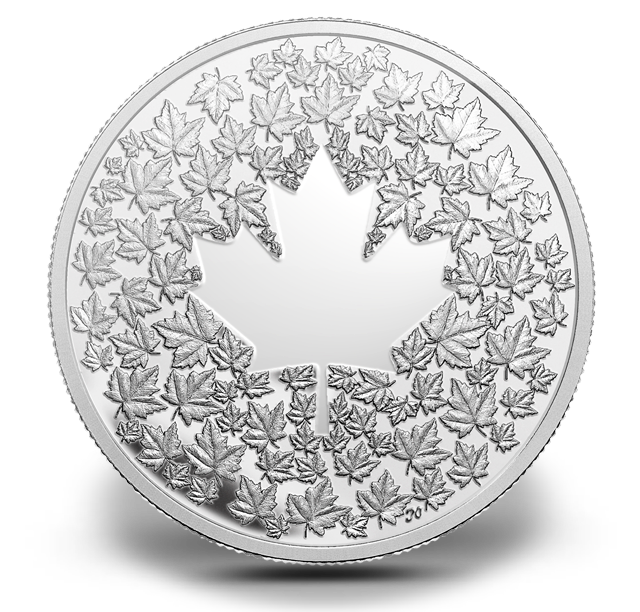 The Royal Canadian Mint releases a unique new strike with the debut of the 2013 Maple Leaf Impression Silver Coin. As can be inferred from the name, the strike showcases the likeness of a maple leaf on its reverse. In fact, over one hundred small maple leaves grace the reverse of the coin. They are combined together in a pattern leaving the outline of a single much larger maple leaf in the center. "Valour, perseverance and diversity: for almost 300 years, the maple leaf has symbolized Canadian identity and values," describes the Royal Canadian Mint website product page. "In addition to its presence on our national flag, various provincial flags and coats of arms, the maple leaf was featured on all Canadian coins from 1876 to 1901, and on Canadian pennies until 2012." 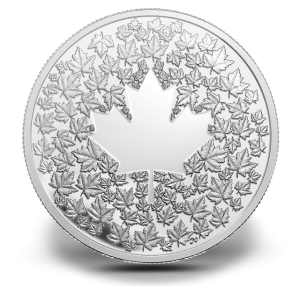 The Royal Canadian Mint has long been known for its maple leaf coins including the Maple Leaf Silver Bullion Coin released annually. Each new coin is struck from .9999 fine silver. They are featured in a proof finish with a gross weight of 7.96 grams and a diameter of 27mm. Royal Canadian Mint engraver José Osio is responsible for the reverse design of the maple leaf. The design covers the entire reverse with no inscriptions added. Inscriptions, however, are found on the obverse of the coin. These include ELIZABETH II, CANADA, 2013, D G REGINA and the legal tender face value of 3 DOLLARS. All of these inscriptions surround the Susanna Blunt effigy of Queen Elizabeth II. Each is encapsulated and presented in a Royal Canadian Mint-branded maroon clamshell case. Maximum mintage of the strike is limited to just 10,000. Current pricing is shown as CAD $59.95. The strike may be ordered directly from the Royal Canadian Mint via its website of www.mint.ca or by calling the Mint at 1-800-267-1871 (Canada), 1-800-268-6468 (US) or (613) 954-2626 (International).